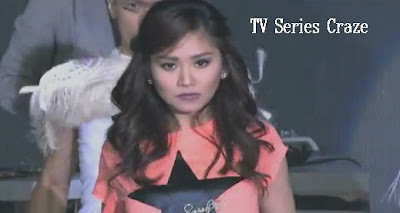 This Sunday, Sam Milby and Maja Salvador are Sarah Geronimo's special guest in her Sunday night TV program, "Sarah G. Live." But the question goes, will there be a love triangle between these three?! It's such a coincidence to note that both Sarah and Maja are Sam's former leading ladies - Sarah in "Idol" while Maja in PHR Presents "Impostor." The show welcomes the return of Sam Milby in the country. Let's see how he will serenade the viewers with his lovable singing voice! Meanwhile, a dance showdown will be witnessed between Sarah and Maja. Who do you think will reign between the two dance diva?